Chandrakant Limaye has created his own style with an imaginative mix of classical ragas, Thumri, Dadra, Tappa, Bhajans and Marathi Natyasangeet. 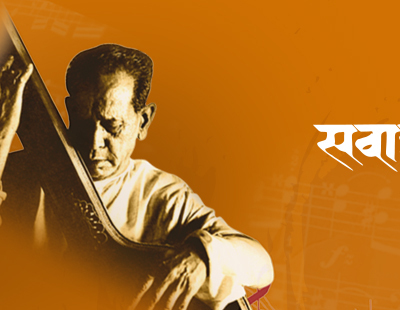 He has had tutelage from Late Dr. Vasantrao Deshpande and eminent vocalists from Gwalior, Jaipur and Agra Gharana. A teacher, an actor, a vocalist, a music composer, a lecturer, a music judge, Chandrakant Limaye has multi-dimensional talents. His music is a glory of Indian classical tradition and is duly awarded with numerous prestigious honours and performances. Shri. Sharadkumar Khaladkar is the son of well known Sanai player Baburaoji Khaladkar of "Kirana" family. His education of Sanai wadan has been completed since his age of 15 years, by the guidance of his father and elder brother Pandit Suryakant & Ramesh Khaladkar.